Gypsy Jane Lee moved through the London underworld like a force of nature. 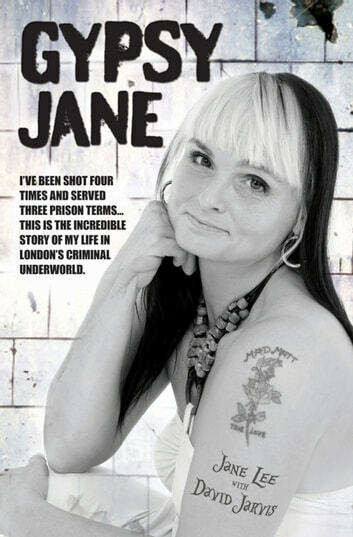 Hardened criminals feared and respected her in equal measure as she made a reputation as the hardest and most dangerous female criminal in Britain. Gypsy Jane stood toe-to-toe with some of the most dangerous men in the land and won. Her blood-soaked march through the criminal ranks is a unique tale of villainy in modern Britain. In a murky world where shootings and stabbings were part of daily business, Jane never forgot her Gypsy blood and stayed loyal to a personal honor code which always gave her the edge. "If today is the day I die, it’s a good day to die," she would tell herself in the full knowledge that every day of her violent life could well be her last. On the violent streets of London’s east end, a Samurai sword and sawn-off shotguns were the tools of her trade. During a terrifying journey that began as a 14-year-old armed robber, she has been shot four times, served three jail terms, and lived to tell her extraordinary story of mayhem, betrayal, and violent retribution.